First we need to do a little research on the ISA card and what the pins mean on the cards. 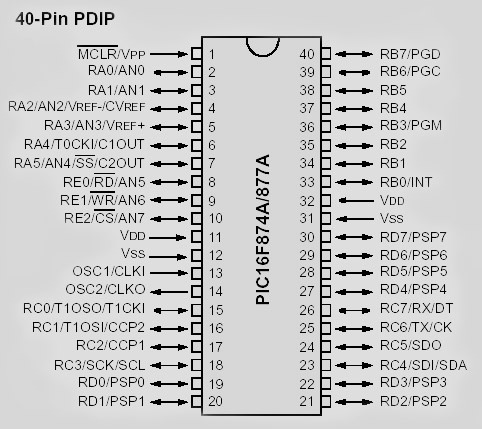 Click Here to see the ISA Bus pinouts. 2/17/2006 - The ISA slot(s) were pulled from an old daughter board I had lying around. A band saw was used to cut and remove the ISA port. 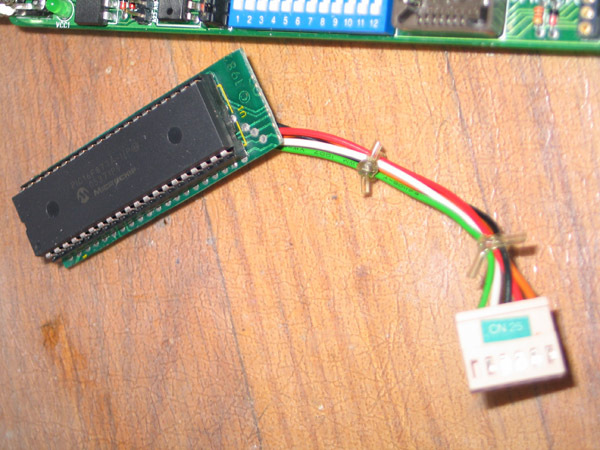 Then an IDE cable was used for the wiring of the ISA port to the PIC interface. 4/8/2006 - I used the Enhanced Willem Programmer to program the PIC, using its ICSP interface. 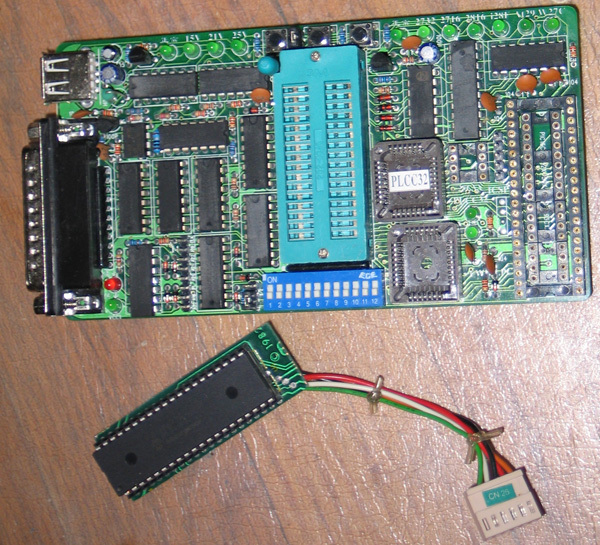 The ICSP interface had to be made since it did not come with the programmer. 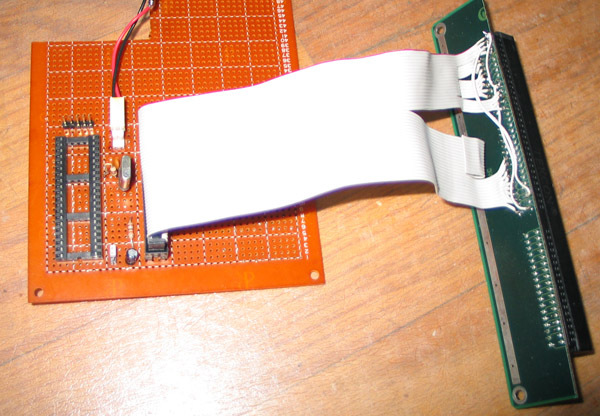 4/15/2006 - Added the MAX232 chip to this project to check the PIC. 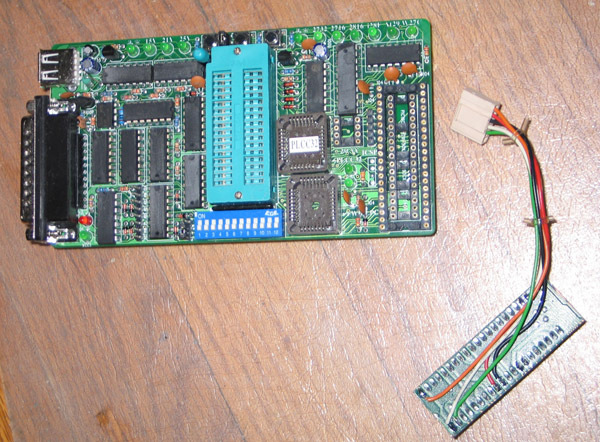 (Actually added a Intersil HIN232IP chip as a MAX232 replacement. They are a lot cheaper!) The MAX232 is the industrial standard IC for converting TTL/CMOS level signals to RS232 level signals. 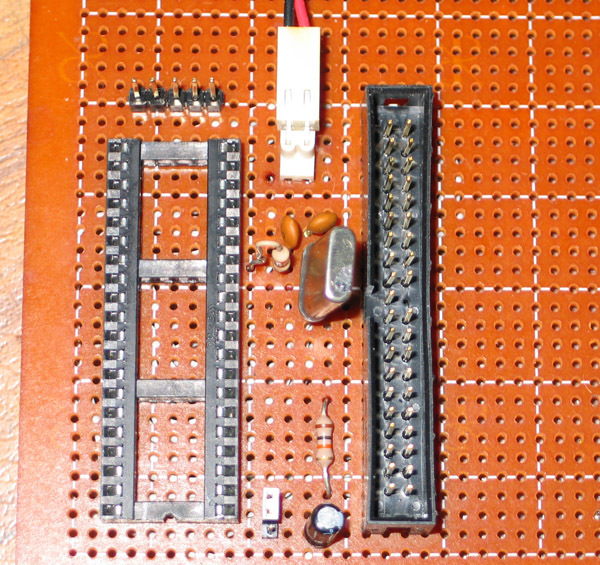 RS232 1s and 0s are at +12 and - 12V. Well the PIC only outputs 0-5V signals, so if you want to speak true RS232, you will need to convert the 0-5V signal pulses to their equivalent +/-12V RS232 pulses. The MAX232 does exactly that. If you put 5V on the T1IN pin, you will see 12V on the T1OUT pin. This is how you pass data out to the computer. If you press a key in hyperterminal, a signal is sent down the line to the R1IN pin where the 12V signal coming from the computer is converted to a 0/5V signal coming out of R1OUT - a signal that the PIC understands. All fine and dandy. The real magic is how an IC powered with 5V can generate +/- 12V signals. This is done with the external capacitors known as charge pumps.